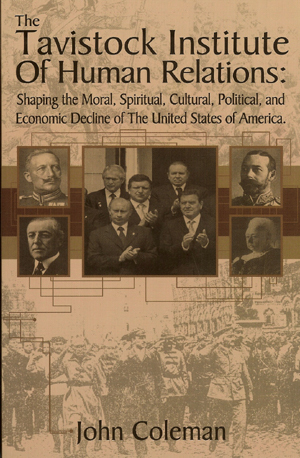 [2008 pdf] TAVISTOCK By Dennis L. Cuddy, Ph.D.
http://www.tavinstitute.org/ 30 Tabernacle Street. The Institute was originally located in the Tavistock Centre in Belsize Park, which it shared with the Tavistock Clinic. 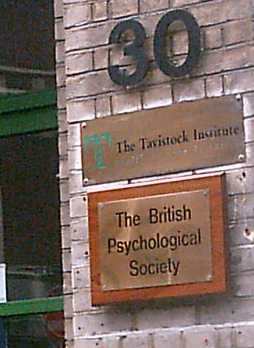 During the summer of 1994, Tavistock moved to its current location in central London. The clinic was founded in 1920, in Tavistock Square, London, moving first to Malet Place near University College London, then to Beaumont Street near Marylebone Road, before settling in its present purpose built accommodation, The Tavistock Centre, in Swiss Cottage in 1967.